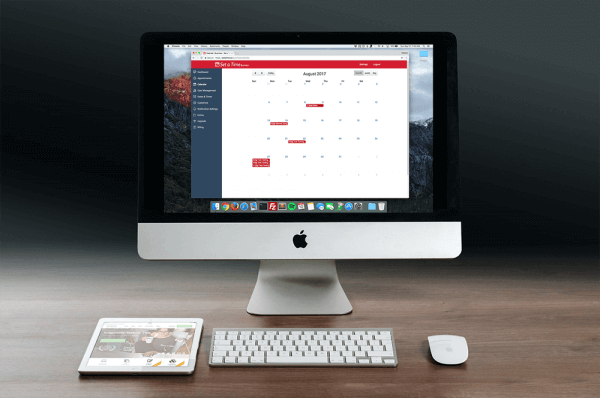 Look, you’re probably wondering what the best appointment scheduling software is for your business. Do you own a salon, spa, gym, or tutoring business? Do you run some other kind of business? There are tons, if not, hundreds of appointment scheduling softwares available for any business to choose from. The best for your business may not be the best for someone else’s business. There are many tools and resources scheduling softwares provide. Each software offers different tools and features. There is a range of prices when it comes to the appointment scheduling softwares. We would understand why you’re not comfortable with picking one. It can be stressful choosing one, especially if your business highly depends on it. The best appointment scheduling software your business will ever need is Set a Time. “Wait, how is it the best?”, you might be asking. Hang on tight, because we’re about to show you why it’s the best appointment scheduling software for any and every business. So what determines if a scheduling software is truly the best one? There are many factors that tell if a scheduling software is the right piece of software for you and your business. Those are just a few points but we’re going to be covering the first three main points. It’s hard to choose one, especially if there a list of tens to hundreds of them. Spend no more time finding the best one for your business. Let’s go over the “hot” topics we’re going to be focusing on. 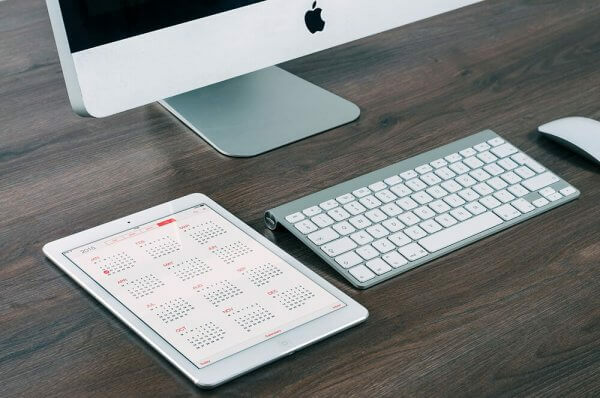 The features of an appointment scheduling software are important, especially if your business has a need for them. So let’s talk about some of the different features for appointment scheduling softwares. The first and most common feature is the ability to book an appointment online. You want your customers or clients to be able to schedule and make appointment online with your business. You don’t want to pick up the phone to handle appointment scheduling, or respond to emails all day while looking at your calendar for an availability within your day-to-day schedule. You want something that is robust, fast, and easy to use – for you and for your clients. The options of being available on certain or specific days may come up one day. The options to have days off and your daily hours of operations are all important. Good thing is, the software, Set a Time, does all of that. See? I told you that was a feature that you needed! Let’s move on to the next feature almost every business needs and wants. Reminders are an important part of an appointment scheduling software. You want the business (yourself) and the clients that are making the appointments to know everything that is going on. When someone books an appointment or reservation with you, you’re automatically going to get a notification. You select which type of notification you want – from email notifications to text message notifications. Customers and clients also get notifications of when they book an appointment, and reminders of when an appointment is coming up. The next feature that is important for many businesses is the component of adding staff or team members onto your business account. So let’s say you run a hair salon or a nail salon. If you have other staff that are working there for you, you can add them as a staff or team member under your account. Staff are able to view their own calendar of their own appointments and events as well as go offline. You’re able to add, edit, and delete staff/team members using this application. This will help you manage and organize your business more efficiently. The next and final, most popular feature almost every business needs is having a custom or personalized page for your business. Imagine having a website URL that people have to visit called “2938928923ksdow283kls.some-appointment-software.com. No, there’s none of that junk in the URL. This appointment scheduling software allows you to set a custom domain name (“yourbusiness.setatime.com”). With Set a Time, you get to create your own custom, personalized page for your business with the background you want and your business details you want to show. Customization helps customers and clients know your business personality and more about your business. Did we also mention Set a Time works on any device from literally any where? You/your business OR your customers can be camping at a favorite campsite or on a cruise in the middle of the Atlantic… as long as there is internet, Set a Time will work. High price tag? You’re out. Every business wants to save money. There’s even a guide of 10 ways businesses can save money. We get it. Set a Time has the perfect price compared to many other appointment scheduling softwares. With only a few dollars a month, you can have all the features that Set a Time has to offer. That’s the price of a latte! There’s even a free plan that suits many types of businesses. The pricing model currently, as of the date this post was written) are $5 and $10 plan. These two plans are designed to fit your business’ needs. The best part? Set a Time even has a money back guarantee/refund policy. You’re bound to love and enjoy Set a Time. 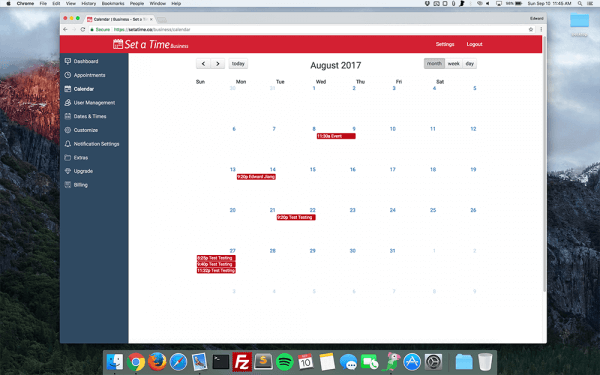 Set a Time is a free scheduling software with tons of options. Competitors have tons of price options and other confusing information. Some have ridiculously high prices and many times, they don’t have the features most businesses need. A big red flag is if a software has a yearly plan and no monthly plan. It’s imaginable that they may close down or shut down the site at any time. No one likes hidden fees. Another red flag is when a software requires you to purchase extra features or “stuff” when you already have paid for one of their paid plans. That’ll never happen in Set a Time. It’s a flat monthly fee for features you get to enjoy. No hidden costs. Now that we’ve summed up the price issue, let’s continue on to the support variable of this equation. Having the best customer service possible is one of the best things a customer can have. Set a Time has outstandingly amazing customer support. From email/contact form submissions to phone calls, Set a Time is 101% sure to answer any questions or concerns you may have. Although at the time of writing this article, you do need to be on the $10 paid plan in-order to speak with a customer support agent over the phone. Nonetheless, the email or contact forum support function is more than enough for most businesses. Set a Time will usually get back to the business within 12 hours. It’s usually 1-2 hours or less but if it’s late at night (Pacific Standard Time – PST), then you may have wait a few hours before someone responds to your email. Customer support will usually walk you through the process, step-by-step to completely satisfy your needs. Email/contact form support is free and always will be free! You can also reach out to them at any time for any questions. Let us tell you why the support is awesome compared to other appointment scheduling softwares. You’re valued as a customer. You’re not just “another user or business”. Set a Time truly stands by their work and appreciates every one/business that uses it. From time to time, they even offer free premium plans for people to just use forever. You might want to keep your eyes open for that! Do any of those points stand out to you? Do any of those features shout at you? 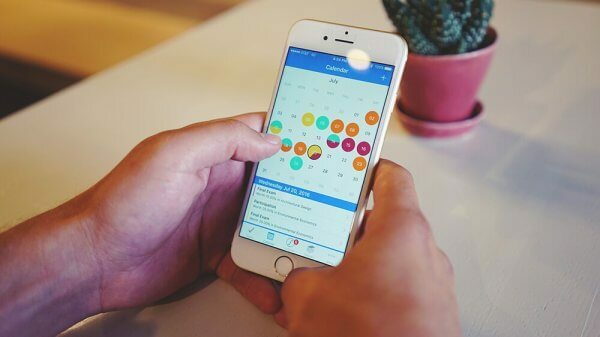 Are you looking for a free scheduling app that has great features and actually does work for your business? If you answered yes to any of the questions, you’re seriously going to want to create an account with Set a Time. It’s so fast, easy, and simple. Few businesses don’t realize how hard it actually is to live without an appointment scheduling software like Set a Time. When they do realize, most of the time it’s too late. With offers and aspects that are not found in any other softwares, and at an unbeatable price, we definitely would recommend you to check it out. The sooner you set up your business with Set a Time, the earlier you’re able to see results for your business. That includes productivity, customer satisfaction, more money made, and much more. You can totally switch from another appointment scheduling software to Set a Time as well. It’s an easy migration and we’re sure the Set a Time support team will be more than happy to help you. It’s worth the money saved, improved features, and productivity gains. We think it’s worth it! Now that you’ve kind of gotten a feel for how fantastic Set a Time truly is, we think you should go sign up. You can click here to go to the home page or click here to register an account. Let us know in the comments how everything is going for you! Good luck and have fun!